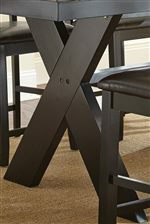 Showcasing an X shaped base with a black painted finish, this counter height table provides a transitional style to the dining space. The table top features an oak veneer that highlights the wood grain look and includes a beveled edge for extra detail. 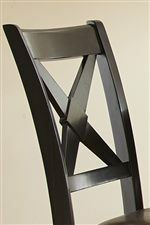 This piece has an 18 inch leaf that allows you to extend the table length from 60 inches to 78 inches. The Violante Two Tone Brown/Black Counter Table with X Shaped Base by Steve Silver at A1 Furniture & Mattress in the Madison, WI area. Product availability may vary. Contact us for the most current availability on this product. VL700PB Violante Dining Table Base 1 36"
VL700PT Violante Dining Table Top 1 42" 60"
The Violante collection brings a transitional style to the dining room. The collection uses straight edges in each of its pieces to provide elements of urban design. That is, however, with exception to the bentwood X back of the chairs which stands out among the rest of the woodwork. The collection dines at counter height making for a more casual atmosphere. The chairs have hardwood stretchers that provide a nice place to rest your feet. 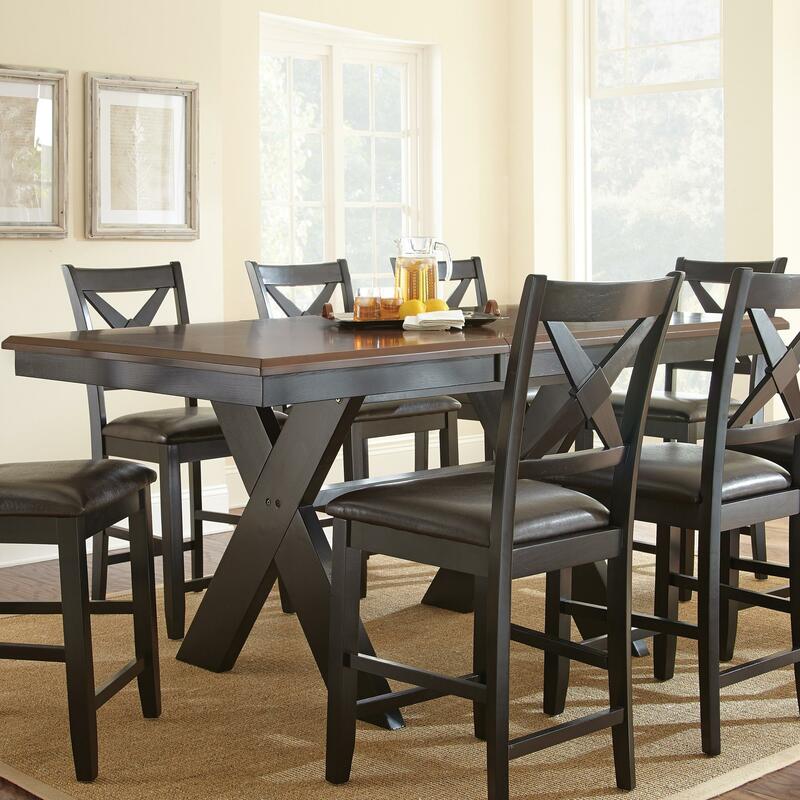 The table can be extended to accommodate more guests making this collection ideal for larger dining spaces. The Violante collection is a great option if you are looking for Transitional furniture in the Madison, WI area. Browse other items in the Violante collection from A1 Furniture & Mattress in the Madison, WI area.